Leaving aside for the moment the whole climate change debate, there is no doubt that industry in general would benefit by reducing its consumption of energy. The chemical industry in particular has rightly put energy efficiency and conservation at the top of its agenda, with many plants paying increasing attention to ways of better managing their energy usage. Further opportunities certainly exist, as underscored by the recent launch by the U.S. Dept. of Energy (DOE) of its Save Energy Now initiative that targets major chemical plants, among other large industrial facilities. One move that has already found support across the broad spectrum of operators, suppliers, government agencies and industry bodies is the use of VFDs. These VFDs can be used to run a plants AC motors, which previously might have been operated at constant speed all the time. With the DOE estimating that some 18% of the energy consumed by the nations industrial motors could be saved by switching to energy efficient technologies, such as variable frequency drives, it would seem to be an open and shut case in their favor. And, so it has proved in most applications. Occasionally, though, running an AC motor off a variable frequency drive can lead to problems that many a process engineer might not have come across before. Although the arcing tends to be isolated and localized, the effect on the bearing is almost like a series of little lightning strikes, he says. These strikes melt and retemper the internal bearing surfaces where the discharges occur, with the result that some surface material flakes away and spalls out to create noise in the bearing. The first symptoms, however, are virtually invisible to the naked eye. The damaged surface appears dull, characterized by molten pit marks or microcraters that may be only around 5 to 8 μm in diameter, irrespective of whether they are on the inner ring, outer ring or a rolling element. The typical type of VFD damage only really shows up when characteristic bearing fluting becomes visible. This is caused by the dynamic effect of the rolling elements continually going over the microcraters and etching a rhythmic pattern into the running surfaces of the bearings races. Noise and vibration from the bearing increases, and eventually the deterioration will lead to complete bearing failure. Even if the bearing itself is not affected by these discharges, its lubrication could be. The grease composition can degrade rapidly under the effect of current discharges, with the high localized temperatures generated causing the lubricants additives and base oils to react, with burning or charring of the oil. At the root of all these problems, according to Geoff Brown, VFDs application consultant with motor and VFD manufacturer ABB, New Berlin, Wisc., is what is known as common mode voltage. Under normal conditions, a typical three-phase sinusoidal power supply is balanced and symmetrical the vector sum of the three phases is always equal to zero, with the neutral at zero volts. 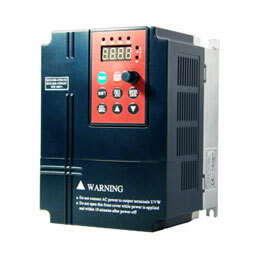 Variable frequency drives, however, work by converting that sinusoidal line AC voltage to DC, then back to a pulse-width-modulated (PWM) AC voltage of variable frequency, by which the motor speed can be controlled. The switching frequency of these pulses can range from 1 kHz to 20 kHz and, while the voltages may be balanced in peak amplitude, this variation makes it impossible to achieve perfect balance between the phases instantaneously. When this happens, the neutral is no longer zero but at what can be defined as a common mode voltage. 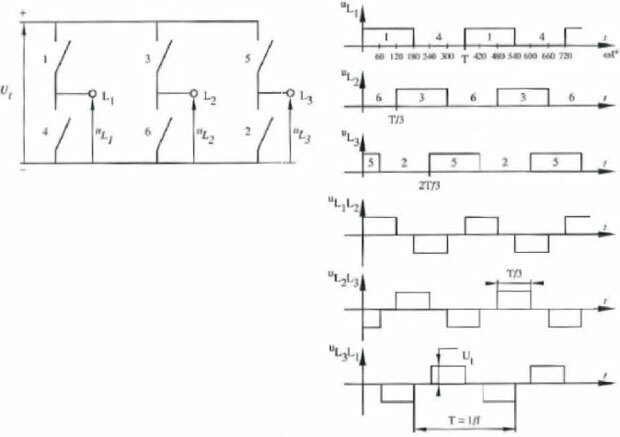 That variable frequency drives can cause circulating currents has clearly been known for some time, but the problem seems to have become exacerbated by the very improvements that have made variable frequency drives increasingly popular namely, the fast-switching insulated gate bipolar transistor (IGBT) technology commonly employed in the VFDs. As Browns colleague, Matti Laitinen, VFDs design manager of ABB Industry Oy, Helsinki, Finland, explained: Fast rising voltage pulses produced by modern power supplies contain high frequencies that initiate high frequency currents which will flow through stray capacitances in the motor system. Such currents are part of the total common mode current, and follow a path called the common mode loop. Several such loops can be formed in any VFD system, depending on the VFD system architecture and the installation techniques used, but they all start at the source of the common mode voltage, the inverter itself. Here the fluctuating potential of the VFD DC bus produces large current flows at very high pulse frequencies, and these currents will seek the path of least resistance to return to the bus via the windings, the shaft and, if they are not stopped or diverted, via the bearings themselves. The first solution comprises the Insocoat range. These bearings, in all common sizes above 70-mm bore diameter, are coated either on the outer or inner ring with a nominal 100-μm-thick aluminum oxide layer that is applied using a plasma spraying technique. The standard layer thickness is said to prevent most current passage problems. SKFs other option is its Hybrid design. These bearings combine silicon nitride ceramic rolling elements with steel rings. The result is a lighter, harder and more durable alternative to conventional all-steel bearings, capable of running at higher speeds and lower operating temperatures. And the natural insulating properties of the ceramic elements is said to make them ideal for large variable-speed motors. Standard types include single row, deep groove ball bearings with bore diameters from 5 mm to 110 mm, although SKF can customize hybrids to meet specific application requirements. Gozuk recommends the use of shaft grounding brushes as the simplest and most cost-effective way of dealing with the problem. It offers a grounding brush as standard on its 250-hp and larger VFD or Vector VFD motors, which are specifically designed to be powered from variable frequency drives. Operating on a similar principle is the recently introduced Motor Grounding Seal (MGS) from Inpro/Seal of Rock Island, Ill. An alternative to insulated bearings is to provide a path to ground for the shaft currents before they can get to the bearings. This is the principle behind the Motor Grounding Seal (MGS), recently introduced by Inpro/Seal of Rock Island, Ill. Developed in conjunction with Electro Static Technology (EST) of Mechanical Falls, Maine, the MGS essentially is a bearing isolator, or labyrinth seal, that includes a built-in grounding ring and brush from EST. The brush contains microfibers that completely surround the shaft to discharge any current flowing through it. ESTs version of the same device has been dubbed the Aegis shaft grounding coupling (SGC) and, according to EST general manager Tony King, is the first product of its kind to provide a solution to two significant industry challenges shaft current elimination and bearing isolation while delivering a maintenance-free and cost-effective solution that is truly revolutionary and makes all other technologies obsolete. These are bold claims indeed to make to an industry that looks upon brush-based electrical connections as anything but maintenance free. At the core of Aegis is ESTs patent-pending Electron Transport Technology, which the company says effectively creates an ultra-low resistance path between the motor shaft and frame to dissipate all of the damaging shaft current to ground. Aegis solves the problem, says engineering manager Willam Oh, by providing a virtual short between shaft and frame so that shaft voltages and currents cannot build up in the first place.